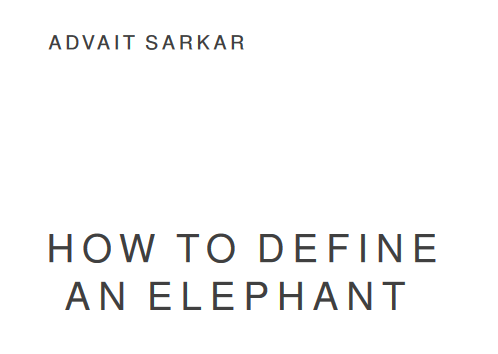 ← Read my short book on the Cambridge supervision system, called 'How to define an elephant'! Supervisions are an ancient teaching system used by Cambridge and Oxford, in which students interact in very small groups (usually 2 or 3) with a subject tutor. I used to supervise many undergraduate courses at Cambridge. Henry Mattinson. Undergraduate dissertation, 2019 (ongoing). Music generation in Microsoft Excel. Aaron Stockdill. Ph.D., 2017—present (ongoing) (advised1). Automating representation change across domains for reasoning. Laszlo Makk. Undergraduate dissertation, 2017. Automated captioning of visualised data. Ben P.W. Catterall. Undergraduate dissertation, 2016. Parallelized Deep Learning for Convolutional Networks on the Intel Xeon Phi. Tamas Stzanka-Toth. Undergraduate dissertation, 2016. Cached Bug Prediction for Python Repositories on GitHub. Ana Šemrov. Undergraduate dissertation, 2016. Interactive exploration of latent semantic spaces. Tanvi S. Potdar. Undergraduate dissertation, 2016. Semantic Markup of Heterogeneous Networks for Concept Evolution. Lawrence F. Dior. Undergraduate dissertation, 2016 (advised1). Visualising uncertainty of approximate database queries through sketchy rendering. Mariana Mărășoiu. M.Phil. dissertation, 2015 (advised1). Consultative sketching of statistical hypotheses. Neil Satra. M.Eng. dissertation, 2015 (advised1). Sketching Statistical Queries. Maria Gorinova. Undergraduate dissertation, 2015. Interactive Development Environment for Probabilistic Programming. Abhishek Chander. Undergraduate dissertation, 2015. Dynamic Visualisation of Data Based on Eye-Tracking. Roman Kolacz. Undergraduate dissertation, 2015. Time-Lapse Based Weather Classification. Neil Satra. Undergraduate dissertation, 2014 (advised1). Sketching Charts. Mario Carreon. M.Phil. dissertation, 2014. A study of the usage of the R statistical programming language based on mining a source code corpus. 1advised: I contributed nontrivially to the supervision of the student, but was not the primary supervisor. Co-designer of Interaction with machine learning, a course for the MPhil in advanced computer science at the University of Cambridge, 2018-2019, 2017-2018. Honorary demonstrator for An introduction to digital design for graduate students in the humanities and social sciences, an experimental course run in collaboration by the Computer Lab and the Cambridge Centre for Research in Arts, Social Science and Humanities (CRASSH), 2014.